It is recorded that more than 4600 miracles were performed by Hazrat Khwaja Muinuddeen Chishti Ajmeri (Radiallahu Ta’ala Anh) throughout his lifetime. Some of these miracles are presented hereunder to give us a glimpse of the power that Allah Ta’ala grants to His slaves. When Khwaja Muinuddeen (Radiallahu Ta’ala Anh) arrived in Ajmer with his followers and wanted to camp under a bunch of shady trees outside the city wall near Anderkot, Raja Prithviraj’s camel-keepers arrogantly objected to his staying there. They insisted that the place was used as the stabling ground for the Raja’s camels and that the strangers must move away to some other place. Khwaja Muinuddeen (Radiallahu Ta’ala Anh) gracefully moved away to another site near the Anasagar Lake. 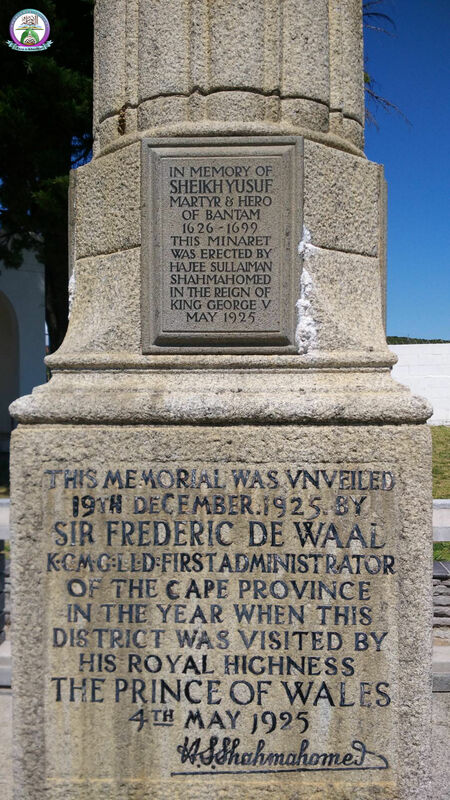 But when the Raja’s camels did not get up the next morning in spite of all efforts to make them move, the trouble was brought to the notice of the Raja. He was much perturbed and advised his men to approach the same Fakeer whom they had chased away. When they found Khwaja Muinuddeen (Radiallahu Ta’ala Anh), they begged for his forgiveness and asked for the remedy for the condition of the camels. Khwaja Muinuddeen (Radiallahu Ta’ala Anh) replied, “Go, the camels would get up.” On their return they were simply amazed to see that the camels were already standing. Around the Anasagar Lake where Khwaja Muinuddeen (Radiallahu Ta’ala Anh) and his followers had moved, there were many temples. His followers used to draw water and sometime catch fish from the lake for their food. The Brahman priests of theses temples remonstrated against this and reported the matter to the Raja who ordered immediate removal of these ‘Muslim Fakeers’ from the place. The servants of the Raja not only demanded Khwaja Muinuddeen’s (Radiallahu Ta’ala Anh) movement from this place but also asked him in a very insolent manner to leave Ajmer at once. But it was impossible for Khwaja Muinuddeen (Radiallahu Ta’ala Anh) to agree because he was there by the will of Allah Ta’ala and the command of Rasoolullah (Sallallahu Alaihi Wasallam). When the rude crowd of Brahmans tried to mob and molest the innocent Fakeers with the ultimate intention of murdering them, Khwaja Muinuddeen (Radiallahu Ta’ala Anh) only threw some dust upon them which caused them to lose their senses and vitality. Some of them ran away in terror and reported this incident to the Raja, who had much hatred for Hazrat Khwaja Muinuddeen Chishti (Radiallahu Ta’ala Anh) and was trying to find a solution to remove him from Ajmer. Among the many temples there was a magnificent temple wherein the Raja and his courtiers used to offer their worship. 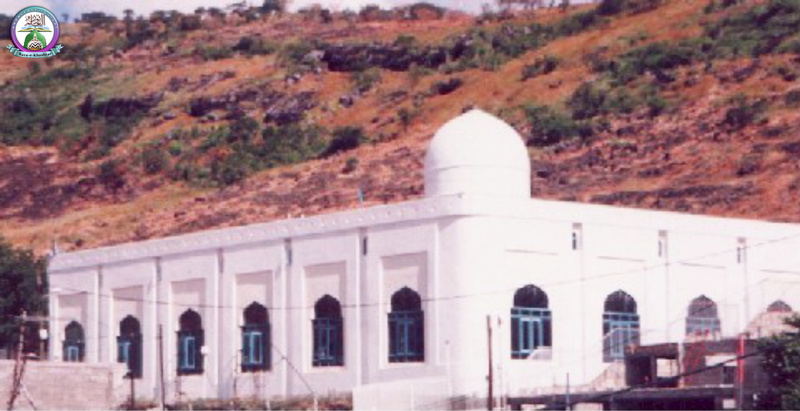 The chief priest of this temple was a very learned Brahman named Shadi Dev who was a bitter opponent of Khwaja Muinuddeen’s (Radiallahu Ta’ala Anh) stay in Ajmer. When he heard about the above-mentioned incident, he approached Khwaja Muinuddeen (Radiallahu Ta’ala Anh) with a view to persuade him to leave the place. 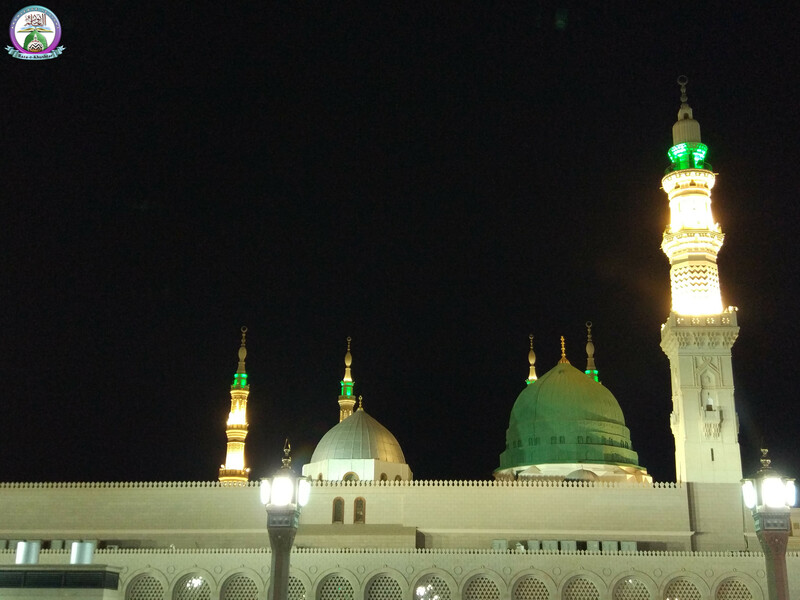 But as soon as he was face to face with Khwaja Muinuddeen (Radiallahu Ta’ala Anh), he was so over-awed by the Saint’s magnetic personality and spirituality that he forgot himself and could not resist the spontaneous urge to offer his obeisance to the great Saint. Asking for forgiveness for his misbehavior, Shadi Dev at once embraced Islam and became the first disciple of Khwaja Muinuddeen (Radiallahu Ta’ala Anh) in Ajmer. The priests of the other temples however, persisted with their subdued grudge and refused to let Khwaja Muinuddeen’s (Radiallahu Ta’ala Anh) followers have water from the Anasagar Lake. Upon this, Khwaja Muinuddeen (Radiallahu Ta’ala Anh) asked Shadi Dev (now Saadi under his new Islamic name) to fetch some water from the lake in a Mashkiza (a small water-skin). As he filled the water-skin, the water of the whole Anasagar Lake mysteriously disappeared into it and not only this, but even the water of all other wells in the city together with the milk in the breasts of all nursing mothers and animals of Ajmer also dried up miraculously. These miracles caused an unprecedented awe in the city, dislocating its active life. When Saadi wanted to report this to Khwaja Muinuddeen (Radiallahu Ta’ala Anh), the latter was absorbed in his usual Ibaadat and meditation. In the meantime the priests had carried the news of these miracles to the Raja, who again became furious and lost no time in summoning one of his most trusted councillors, Ajaipal Jogi. Ajaipal was his spiritual guru and was recognized to be the greatest exponent of the sciences of black-art, magic and witchcraft. He assured the Raja not to worry and that he would turn Khwaja Muinuddeen (Radiallahu Ta’ala Anh) out of Ajmer without any difficulty. He advised the Raja to go to Khwaja Muinuddeen (Radiallahu Ta’ala Anh) with his bodyguards, promising to follow him very soon with his own army of disciples. 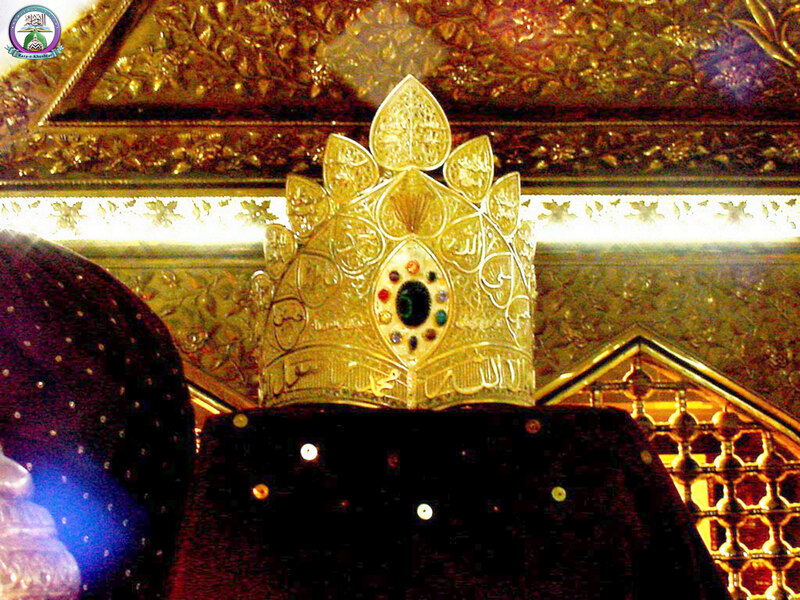 While on his way to Khwaja Muinuddeen (Radiallahu Ta’ala Anh), the Raja, fired by his lingering wrath, thought of hurting the Saint terribly but as soon as this evil thought entered his mind, he lost his vision and could not move forward. When he recollected his mother’s pacifying warning to treat Khwaja Muinuddeen (Radiallahu Ta’ala Anh) reverently, his heart suddenly softened and he regained his eyesight. By the time he actually appeared before the Saint, he had experienced this incident no less than seven times. When he reached Anasagar, he was encouraged to see Ajaipal approaching, who upon arrival, immediately started his magical attacks upon the unarmed and peaceful Khwaja Muinuddeen (Radiallahu Ta’ala Anh). Khwaja Muinuddeen (Radiallahu Ta’ala Anh) asked his followers to draw a circle on the ground around them for protection against Ajaipal’s magical attacks which consequently could do them no harm. While this incident was going on, the population of Ajmer was thirsting unbearably for water because of its mysterious disappearance as mentioned above. Finding themselves in a hopelessly desperate situation, Ajaipal and the Raja as last apologetically approached Khwaja Muinuddeen (Radiallahu Ta’ala Anh) and sought his forgiveness and begged him to return the water of Ajmer for its thirsting population. In response to this appeal Khwaja Muinuddeen (Radiallahu Ta’ala Anh) asked Ajaipal to bring the water-skin in which Saadi had filled the water of the Anasagar Lake. But Ajaipal could not lift it up despite all his magical powers. When he admitted his helplessness rather shamefully, Khwaja Muinuddeen (Radiallahu Ta’ala Anh) told him, “This water-skin belongs to the humble servants of Almighty Allah. You people woefully immersed in worldly greed, riches and temporal powers cannot pick it up.” He then ordered one of his followers to pour back the water from the water-skin in the Anasagar Lake. To the amazement of all present, the disciple had no trouble in lifting up the water-skin and complying with his master’s order. As soon as the water was poured back into the lake, it swelled up as usual, while the milk in the breasts of the nursing mothers and the teats of the animals also overflowed and the normal life of the city was thus restored in a few minutes. One day Hazrat Khwaja Muinuddeen (Radiallahu Ta’ala Anh) was delivering a lecture to an audience, but whenever his eyes turned towards the right, he stood up for a while and then resumed his discourse again. This happened several times during the course of the sermon. When the function was over and the people had dispersed, some of his close mureeds ventured to enquire about the incident of his standing up so often during the lecture. Khwaja Muinuddeen (Radiallahu Ta’ala Anh) then replied, “On that side there was my Peer-o-Murshid’s Mazaar and whenever I saw in that direction it came before my eyes, so I used to stand up out of the great respect I have for the Mazaar of my Murshid.” (The Mazaar of his Murshid was in Makkatul Mukarramah and he was in Ajmer) Subhaanallah! If this is the vision of the slave of Rasoolullah (Sallallahu Alaihi Wasallam), then what must be the vision of Rasoolullah (Sallallahu Alaihi Wasallam) himself? One day a wailing old woman came to Khwaja Muinuddeen Chishti (Radiallahu Ta’ala Anh) who was busy making wudhu. The woman complained that the governor of the city had murdered her son without any fault and that she had come to him to beg for justice. Khwaja Muinuddeen Chishti (Radiallahu Ta’ala Anh) after completing his wudhu picked up his ‘Asa Mubarak (sacred staff) and walked out with the lady to the place where the murdered corpse of her son was lying. He then placed the severed head in its proper position on the body of the murdered young man and prayed to Almighty Allah, “O Allah, if this man was murdered without any fault, then grant him his life.” After this he put his staff on the corpse and said, “Get up by the Command of Allah if you are innocent.” The young man got up, healthy and normal and both he and his mother fell down at the feet of the saint in solemn gratitude. Everyone was shocked at this statement and all Hazrat Khwaja Qutbuddeen (Radiallahu Ta’ala Anh) could think of in the spur of the moment was to turn his face in the direction of Ajmer and invoke the help of his Peer-o-Murshid, Hazrat Khwaja Muinuddeen Chishti (Radiallahu Ta’ala Anh), to help him in this nasty situation never experienced by him in his whole life. Suddenly they all noticed Hazrat Khwaja Muinuddeen Chishti (Radiallahu Ta’ala Anh) approaching towards them in person. Naturally wonderstruck at the sudden appearance of the great saint of Ajmer on the scene, the king and his courtiers hurried to offer their salutations and homage to him. 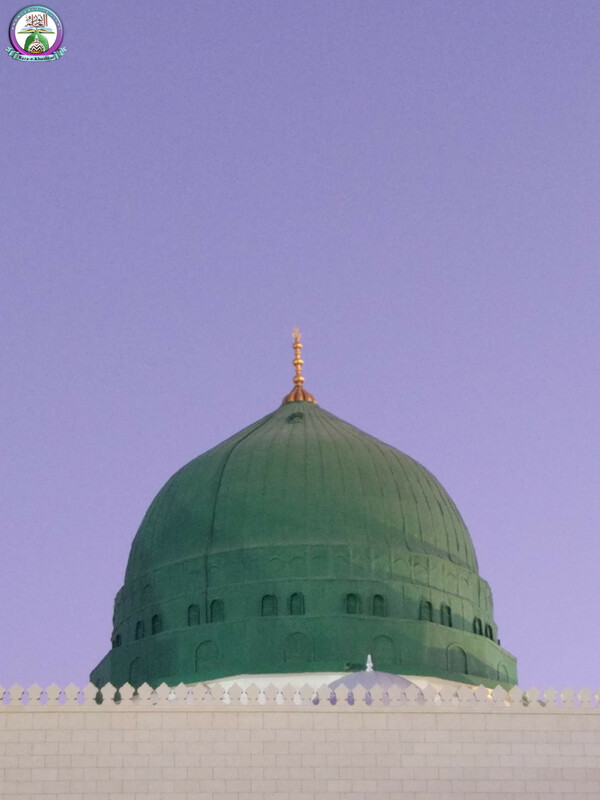 Khwaja Muinuddeen (Radiallahu Ta’ala Anh) then asked his mureed, “Why have you remembered me?” Due to the overwhelming impact of the shock Khwaja Qutbuddeen (Radiallahu Ta’ala Anh) was unable to speak out and could not resist the emotional tears that flowed down his face. Khwaja Muinuddeen (Radiallahu Ta’ala Anh), who knew the facts of the whole matter then turned towards the evil woman and addressed the child whom she carried in her womb, “O confined child, your mother is accusing Qutbuddeen of being your father, now speak out the truth and say if it is correct.” By the Infinite Grace of Almighty Allah, the child in the woman’s womb did speak out and replied, “Your honour, the statement of my mother is a pernicious lie. 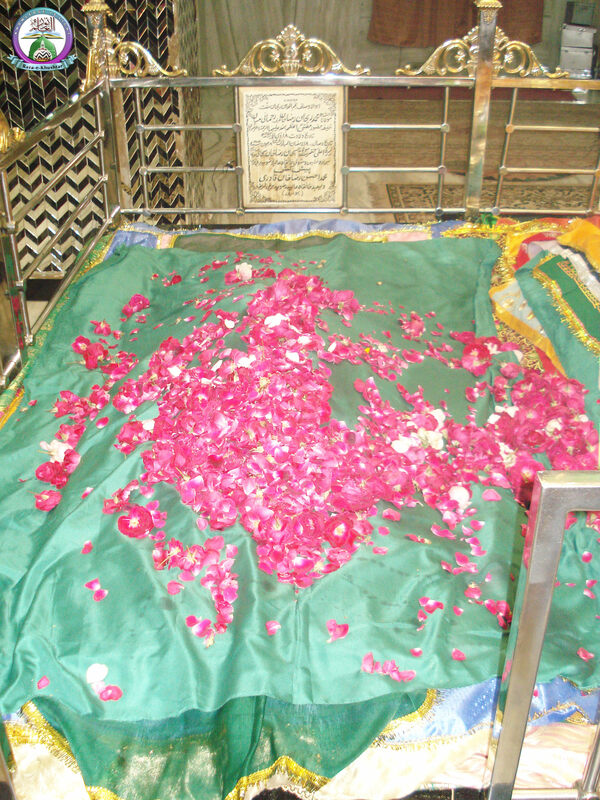 She is a libertine and she has been tutored by the enemies of Khwaja Qutbuddeen to accuse the holy saint out of mere jealousy only to disgrace him in the eyes of the public.” When this miraculous voice came aloud from the womb of the mother, all those present were astonished beyond description and the woman had no escape but to acknowledge her guilt openly before everyone. Subhaanallah! There is no doubt that the Awliya Allah are alive and are there to assist us! May Allah Ta’ala grant us true love and respect for the Awliya Allah and the Taufeeq to follow in their footsteps by immersing ourselves in the love and obedience to Allah Ta’ala and His Beloved Rasool Sallallahu Alaihi Wasallam, Ameen.